The new interiors feature soft textures and rich colours, alongside natural materials such as oak and walnut. 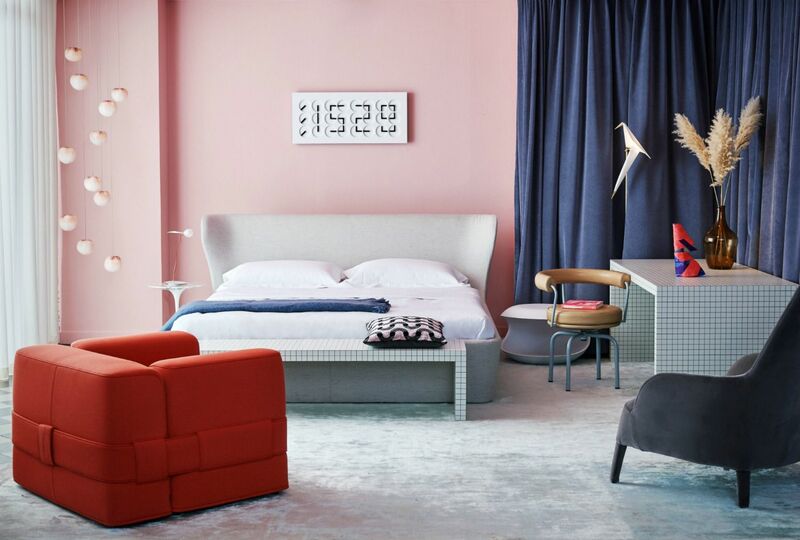 The studio has introduced a serene palette of grey tones that run throughout the hotel and has also added recognisable design classics from the likes of Flos and Fritz Hansen to the communal areas as well as the guest rooms. The original project was first made for the lounge area inside the Stockholm fair during the Stockholm Design Week in 2017; it was adapted for La Bocca when it opened its restaurant in Östermalm, one of the coolest areas in Stockholm. The menu offers Italian tradition food and its wine cellar is one of the biggest in town. The menu changes every day, surprising you with a always different mix of flavours. The interior is as charming; elegant and warm, the restaurant is decorated with white furniture, brass lightings and cosy burgundy sofas. What makes Design Torget a very interesting shopping address is that all the items you can buy are produced by the biggest Scandinavian companies including Normann Copenhagen, Menu, Muuto and so on, as well as precious items by emerging Swedish artists and designers; what you can buy today might just become an iconic design piece in years to come. The store is located in a heritage building, and a walk through its storied spaces is simply enchanting. It has also a web-shop retailing furniture, that also offers decorating advice, as well as interior and architectural services. Located just opposite the Royal Palace, the Nationalmuseum holds numerous exhibitions on design, photography, sculptures and antique furniture throughout the year. After the tour of the museum, don't miss its shop where you can find products closely connected to the temporary exhibitions, the museum and its collections of art. Inside the museum is also a lovely bar where you can enjoy the famed Swedish cinnamon buns.